The Pine Cone is one of the most frequent, and in the same time, most complex symbols we can find in the Traditional Roman Spirituality. It is a very complex symbol because expressing forces and a symbolism extremely difficult and hermetic. In this post I will provide some biref details just to put the Cultor and the Cultrix in the condition to acknowledge its basic value and meaning. Everyone is free to study its deeper meaning if interested in this issue. 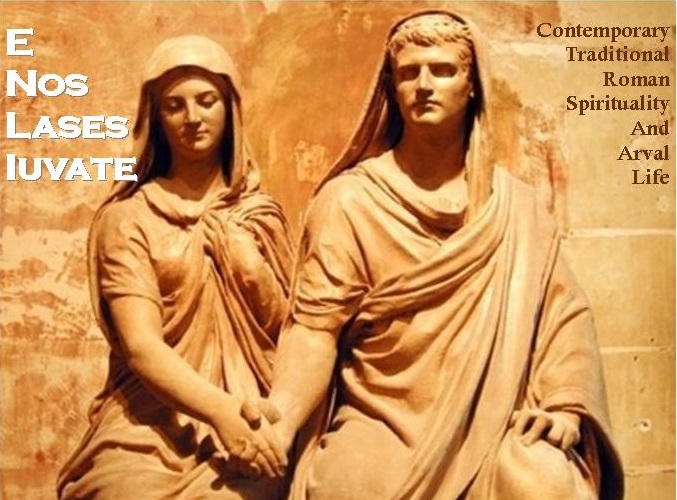 First of all it is extremely important to highlight that the Pine Cone is never - I repeat - never a decorative element: it is rather a tool to communicate about two Deities: Cybele and Dyonisus. With regards to Cybele, the Pine Cone describes the idea of fecundity, maturation and "reproduction" (even in hermetic sense). It is the symbol that expresses in the most complete way the chthonic feminine energy, "The Feminine Power". The Pine Cone is often represented together with one or more snakes not only to evidence its chthonic aspect, but to underline how this feminine force unravels itself as a snake. We can find similar representations in other cultures: we may say that the Pine Cone is the Roman representation of the Shakti and the snake describes how the Shakti unravens itself like a snake. 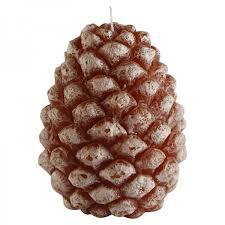 The Pine Cone therefore communicates the Feminine Power which can become an extremely powerful energy. About this, and just not to forget it, I would like to mention that the christian religion - in the past as today - is perfectly aware about the "pagan" symbolism of the Pine Cone. 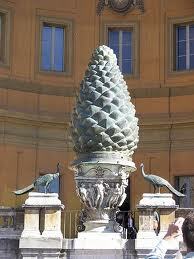 I mention, just as an example, the case of the Great Pine Cone of Cybele (not accidentaly accompanied by two peacocks) removed from its original place (the great sanctuary of Cybele near the Pantheon), put in the Vatican and extinguished there (being only a decoration). 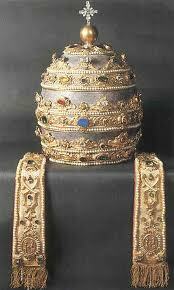 Above all it is important to remind the case of the pope tiara which has the Pine Cone's shape. Both cases are clear examples about the effort made by the christian religion to take the complete control over the feminine power-energy-force. Do not forget that s.peter in Rome has been built (not accidentally) over a Cybele Temple. The Pine Cone is also named " The Zagreus' Heart": this definition open the way to an even more complex symbology. As in the case of the Egg, the Pine Cone represents the "Heart of the World":, the "Heart of the Universe", the Cave as both cosmic and chthonic representation: it is a symbol of the Centre. Not accidentally many omphalos and Goddesses are represented as cone shaped stones. Having a typical structure and shape, the Pine Cone is the symbol of the Cosmos in its initial differentiation phase (with its constitutive elements) just after the Chaos. It describes the Centre's splitting, a shape where the directions in the space have not the same uniform function. Like an ellipse, the Pine Cone shows two focuses, two centres expressing the two fundamental polarities. The Pine Cone is basically the symbol of the the conclusion of the personal spiritual development: moving from the status of "sleep" (at the base of the vertebral column), to "germination", to the "rebirth - second birth" (the Heart - the Pine Cone): again this spiritual process is clearly and entirely described by the Thyrsus. La Pigna è uno dei simboli più frequenti, e nello stesso tempo più complessi, che si possono ancor oggi ritrovare connessi alla Spiritualità Tradizionale Romana. E' un simbolo molto complesso perchè fa riferimento a delle forze ed ad un simbolismo altrettanto complessi: in questo post mi limiterò a fornire qualche breve cenno quantomeno per consentire al Cultor ed alla Cultirx di riconoscerne il valore basilare. Resta poi a ciascuno di noi il compito - qualora sorgesse l'interesse - di approfondirne il complesso significato. Per quanto riguarda Cibele, la Pigna esprime il concetto di fecondità, maturazione e "riproduzione". La Pigna è pertanto il simbolo che più compiutamente descrive e simboleggia l'energia ctonia "femminile", il "potere e la potenza femminile". Spesso la pigna è rappresentata insieme con uno o più serpenti, non solo per evidenziarne il carattere ctonio, ma per descrivere come questa forza femminile si dipani come un serpente. Troviamo rappresentazioni simili anche in altre culture: la Pigna possiamo dire che rappresenta la Shakti ed i serpenti il modo "serpeggiante" con cui la Shakti si dipana. Allo stesso modo la Pigna si lega a Dioniso nella sua espressione di Dioniso-Zagreo (colui che fa a pezzi). La Pigna, per la sua tipica struttura, simboleggia questo "smembramento potenziale" da cui è possibile ottenere nutrimento e fecondità (i pinoli - semi commestibili). Anche in questo caso ci troviamo di fronte ad una forza ctonia e femminile che in passato prevedeva un culto orgiastico. Questa manifestazione di Dioniso-Zagreo è connessa a Cibele (figlio di Crono, Cibele o Rea) ed anche in questo caso si accompagna con il simbolo del serpente. Si pensi poi al "Tirso" il simbolo assiale di Dioniso che in cima reca una Pigna cui intorno si avvinghia un serpente. La Pigna pertanto ci parla della Forza Femminile che può essere molto potente. A tale proposito e a titolo puramente di cronaca vorrei ricordare che il Cristianesimo - ieri come oggi - è ben consapevole della simbologia "pagana" della Pigna e di cosa precisamente rappresenti. Cito solo a titolo esemplificativo la sorte della Grande Pigna di Cibele che è occultata e "spenta" in Vaticano e soprattutto la "tiara papale" che altro non è che una Pigna: in entrambi i casi ci troviamo di fronte all'esemplificazione di come il cristianesimo abbia, in questo modo, voluto prendere il completo controllo della Forza Femminile. Non dimentichiamo poi, tanto per confermare quanto detto, che la basilica di s.pietro a Roma sorge proprio sopra un santuario di Cibele. La Pigna inoltre era denominata "il cuore di Dioniso-Zagreo" e da questa definizione si apre la simbologia complessa della Pigna. Essa, come l'Uovo, rappresenta "il Cuore del Mondo" ed è un simbolo di "centro". Non è un caso che molti omphalos e molte Divinità Femminili erano rappresentate come pietre di forma ovoidale o conica. Per la sua struttura, oltre che per la sua forma, la Pigna rappresenta anche il Cosmo che inizia a differenziarsi con tutti i suoi elementi costitutivi subito dopo il Caos. Essa esprime uno sdoppiamento del Centro, una forma in cui tutte le direzioni dello spazio non hanno uniformemente la stessa funzione. Essa , come l'ellisse, ha quindi due fuochi, due centri che esprimono le due polarità fondamentali. 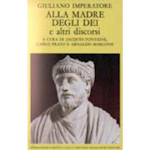 La Pigna è tuttavia simbolo della conclusione dello sviluppo spirituale della persona: si passa dallo stato di "sonno" (base della colonna vertebrale) alla "germinazione" e "seconda nascita" (cuore-Pigna): di nuovo questo processo lo ritroviamo interamente rappresentato nel Tirso di Dioniso. 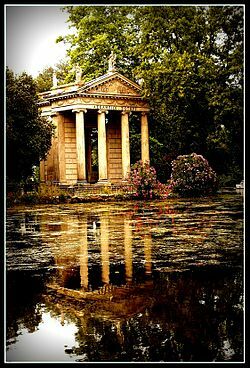 Observing birds flying, listening to the oaks' fronds whishing or the river water flowing, touching the grass in a meadow, perceiving the scent of a forest, are peculiar and very important religious aspects in the Traditional Roman Spirituality. Nonetheless, in the modern woman's and man's eyes all this could appear as the most stupid and non-sense thing to do. They could ask you: what are you doing? You are just wasting your time! This reaction is typical for those unable to understand the deeper meaning of the signs' observation. For who, maybe like myself, trying to go "further" and beyond an estremely superficial dimension of the Traditional Roman Spirituality, these profane trifles are quite useless. For this reason I think it could be better to consider this issue through a deeper perspective trying also to understand what meaning and sense this "science" and "knowledge" (which in the past occupied a critical role both in the public and private spheres) may have today. We have learnt that Nature can be described through general physical laws whose dynamics, to be considered as valid, have to be verified and confirmed in a lab or by theoretical and mathematical models. Nonetheles when sitting in otium and in meditation (for example under a tree) I soon abandon this belief: I realize that this idea is not correct. What I can see and perceive is that what is around me is constantly under the influence of a large number of continuing interferences. It seems to me that everything is under the influence of randomness. Any event could be considered as a random event. But our attention and observation should be directed to understand the meaning of this "randomness" which usually is totally unnoticed. Observing signs materializes this interest, attention and perception of "coincidences". These coincidences are not mere fortuitous "random events" but the act of "coinciding", "overlapping" and "crossing" conditions. These coincidences provide us with the idea of the great importance of what is normally labelled as randomness which on the contrary is the normal condition where any uniformity is broken, where any thing and any moment become a specific and peculiar entity. For this reason observing signs drives us to the observation and to the meaning of the "real-reality" hic et nunc rather than a generic, standard and theoretical "ideal reality". The "moment", or the Time of Observation, becomes the materialization of an unique and specific moment where the accidental events' configuration acquires a precise peculiar architecture and structure where some elements "coincide" overcoming the "law of randomness". Therefore the coincidence in a given Time and Space is not the result of a generic "randomness": it rather results from the interdipendence and overlapping of events and conditions in a psycho-physical dimension. The question is not to consider events as random events but to acquire a calm awareness about their coincidences within macrocosm and microcosm. The vivid perception of the continuing Change and the idea that "anything is flowing" is the central core of signs' observation. 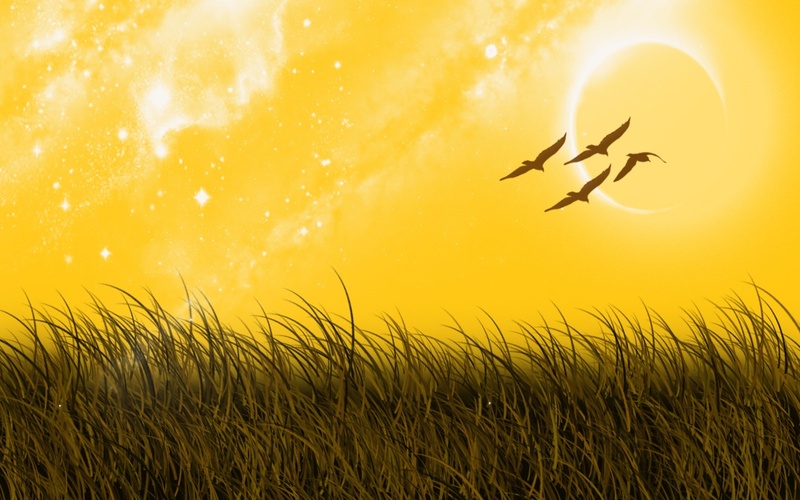 This practice stimulates intuition or the ability to develop an "inner sight" (in-tueri). The aware perception about signs drives us from the exterior things, pertaining a dimension composed only of phenomena, to the deep essence of the Real World hidden behind the superficial level of the exterior world. For this reason signs' observation is not directed to predict the future (1) but rather to move towards the Divine, the Deities therefore moving behind the surface, the appearance, the illusion. If sings' observation cannot help us in predicting the future, in several occasions it can be linked to another question: "What can I do?". Even in this case, it is necessary to go beyond the profane level. The answer to this question derives from the idea of intuition (as mentioned above), introspection and the consequent awareness that in the events' flowing, in the coincidences' generation and in the process of continuing change, we partecipate to the Fate: even our actions and inactions are interferences in the Great Flow. Signs' observation is therefore a conscious and aware attention to these continuing interferences. this condition helps us to remain awake, being less indifferent and distracted, having a particular attention to the "details" and signs representing and symbolizing the Gods'/Goddesses presence and the Reality itself. Of course it doesn't mean we must have an obsessive attention towards all the possible signs (superstitio): it rather means to be awake having a constant self consciousness. Osservare il volo degli uccelli, ascoltare il frusciare delle fronde delle querce o dello scorrere delle acque di un torrente, toccare le erbe di un prato, percepire i profumi presenti in un bosco, sono aspetti religiosi particolari ed importantissimi della Spiritualità Tradizionale Romana. Eppure agli occhi della donna e dell'uomo moderni potrebbero apparire come la cosa più stupida e priva di senso che si possa fare. Questo avviene perchè non si conosce e non si comprende il significato più profondo dell'osservazione dei segni. Spesso quando sono in otium e siedo in meditazione mi dedico proprio all'osservazione dei segni. Mi è capitato talvolta di chiedere il ruolo, significato e senso di questa particolare pratica. In proposito ho ricevuto le risposte più diverse anche da parte degli stessi Cultores e Cultrices: qualcuno mi ha detto che serve a predire il futuro, altri ancora mi hanno detto che serve a conoscere il volere degli Dei (?) o se essi possano essere favorevoli o meno. In particolare questa ultima affermazione mi ha sempre lasciato molto perplesso: mi chiedo infatti che cosa significhi "il volere degli Dei". Per chi, come forse il sottoscritto, sta cercando di spingersi oltre una dimensione estremamente superficiale della Spiritualità Romana, sciocchezze profane come queste vogliono dire estremamente poco o nulla. Per questo allora penso che possa essere utile approfondire la questione un po' più in profondità e cercare di capire quale possa essere il senso oggi di una "scienza", di un "sapere" che in passato occupava un ruolo così importante nella vita pubblica e privata. Ci hanno sempre insegnato che la Natura può essere descritta secondo leggi fisiche generali, le cui dinamiche, per essere considerate valide, devono essere verificate in un laboratorio o in modelli teorico-matematici. Eppure, quando sono seduto in otium all'aperto sotto un albero questa convizione mi abbandona subito e mi rendo conto invece che non è così: quello che osservo e percepisco è che ciò che mi circonda è costantemente sotto l'influsso di un gran numero di interferenze continue. Sembrerebbe che tutto sia soggetto all'opera del caso. In realtà ogni evento si manifesta come un evento accidentale. Ed è su questa "accidentalità", che normalmente passa del tutto inosservata, che si deve soffermare la nostra osservazione e la nostra attenzione. L'osservazione dei segni consiste proprio nell'interesse, nell'attenzione e nell'osservazione delle "coincidenze". Ovviamente per coincidenze non si deve intendere il "caso fortuito", quanto semmai il fatto del "coincidere", del sovrapporsi, dell'incrociarsi di condizioni. Sono le coincidenze che ci danno l'immagine dell'enorme importanza di quello che viene normalmente denominato caso che invece è la condizione normale in cui si spezza qualsiasi uniformità, in cui qualsiasi cosa e qualsiasi momento diventano un'entità a sè stante. Per questo l'osservazione dei segni ci riporta all'osservazione e al senso del "reale" hic et nunc invece che dell'"ideale" generico, standardizzato, astratto. Il momento che diviene il Tempo dell'Osservazione diventa la materializzazione di un momento unico ed irripetibile dove la configurazione degli eventi accidentali assume una specificità precisa in cui determinati elementi "coincidono" superando la legge della apparente casualità. In sintesi, la coincidenza di eventi in un dato tempo ed in un dato spazio non è data dalla mera casualità, ma dall'interdipendenza e sovrapposizione di eventi e condizioni in una dimensione psico-fisica. Non si tratta più quindi di considerare la casualità degli eventi ma avere la consapevolezza delle loro coincidenze che si realizzano nel macrocosmo e nel microcosmo. La percezione viva del mutamento continuo e del fluire del Tutto è l'essenza primaria dell'osservazione dei segni. Essa stimola l'intuizione ovvero la capacità di volgere lo sguardo verso l'interno (in-tueri). La percezione consapevole dei segni ci fa andare dalle cose esteriori del mondo fenomenico verso l'essenza profonda del mondo reale nascosto al di sotto della superficie del mondo esteriore: per questo l'osservazione dei segni non ha per scopo il predire il futuro(1) ma andare verso il Divino quindi oltre la superficie, oltre l'apparenza, oltre l'illusione. Se l'osservazione dei segni non ci può dire nulla sul futuro, in molti casi può essere connessa con un'altra domanda: "cosa devo fare?" Anche in questo caso bisogna andare oltre la dimensione superficiale e profana. La risposta a questa domanda infatti deriva proprio dal concetto stesso di intuizione, di introspezione e dalla conseguente consapevolezza che nel fluire degli eventi, nella generazione delle coincidenze e nel processo di mutamento continuo noi stessi partecipiamo al destino e che anche le nostre azioni ed inazioni sono alla fine interferenze nel divenire. L'osservazione dei segni è pertanto l'attenzione consapevole e cosciente alle cosiddette interferenze accidentali che in realtà sono continue. Ciò ci mantiene di fatto in uno stato sostanziale di veglia consapevole, ci rende meno indifferenti e distratti ai dettagli e ai segni che rappresentano la presenza degli Dei e delle Dee e della stessa realtà che ci circonda. Ovviamente ciò non significa prestare attenzione maniacale a "tutti" gli eventi (superstitio), ma essere semplicemente vigili e mantenere uno stato di costante presenza a sè stessi. Su queste premesse si fonda la stessa scienza augurale: senza questa predisposizione spirituale la scienza augurale è fiacca e priva di senso.